Welcome to LENNOX TRADING, LLC. Over the past 10 years, we have supplied medical and cosmetic products to over 100 clients worldwide. We pride ourselves in having very competitive prices and an excellent distribution network to serve our customers' needs. COUPONS CANNOT BE COMBINED. YOU CANNOT USE IT ON PRODUCTS THAT ARE ALREADY DISCOUNTED. Our hours of operation are: Monday through Friday: 10:00 am to 6:00 pm; you can come and visit our store. Our address is 6900 NW 84th Avenue, Miami, FL 33166. HALKA AFRO LOVE COMBO SET INCLUDES: HALKA AFRO LOVE SHAMPOO SULFATE FREE 16OZ HALKA AFRO LOVE RINSE 16OZ. 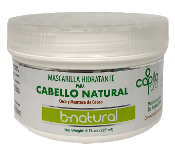 HALKA AFRO LOVE MASK 16OZ. HALKA AFRO LOVE LEAVE-IN 10OZ. HALKA AFRO LOVE CURLING CREAM 8OZ. Capilo Pro Moisturising Mask -8oz MARU DEEP REPAIR HAIR MASK - 16 OZ. MARU DEEP REPAIR SHAMPOO SULFATE FREE - 16 OZ. MARU NOURISHING CACAO (CHOCOLATE) LEAVE-IN - 8 OZ. MARU NOURISHING CACAO (CHOCOLATE) TREATMENT - 16 OZ. Rivas Silicon Mix Argan Oil Hair Polisher - 4 oz.